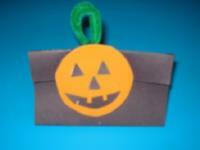 Original treat bags for your Halloween party! 1. Gather your material. 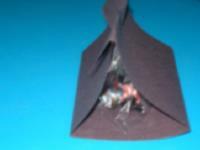 You will need black construction paper, orange Fun Foam, a plastic sandwich bag, a plastic drinking glass, scissors, a hole-punch, a green pipe cleaner, a pencil or pen, white glue and/or hot glue, and, of course, candy. 2. 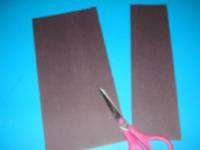 Cut the black construction paper vertically, 1/3 of the way from the edge. 3. 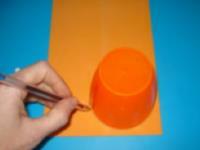 Trace the contour of the plastic drinking glass on the orange Fun Foam and cut out the circle. 4. 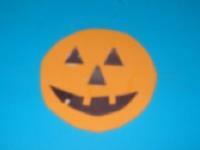 In the smaller section of the black construction paper, cut out three small triangles to represent pumpkin eyes and a pumpkin nose. 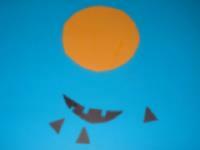 Also cut out a pumpkin mouth shape. 5. 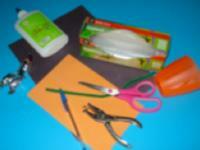 Children will work on their fine motor skills when they stick the various parts on their pumpkin shape. 6. 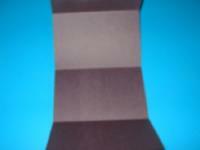 Fold the larger piece of black construction paper to create three large sections and one smaller section at the top as shown. 7. 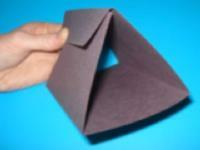 Open your construction paper and form a triangle, using the folds as guides. 8. 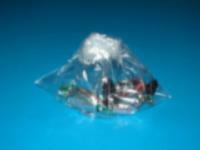 Fill the plastic bag with candy and staple or seal the bag. 9. 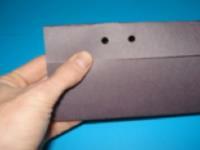 Using the hole-punch, make two small holes at the top of the treat bag. 10. 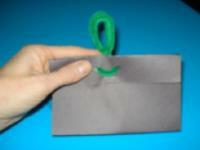 Slide the plastic bag inside and staple or glue it in place. 11. Insert the pipe cleaner through the holes and twist them to create a small handle that will also represent the pumpkin's peduncle. 12. 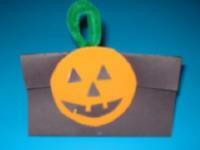 Glue the pumpkin on the front of your treat bag.